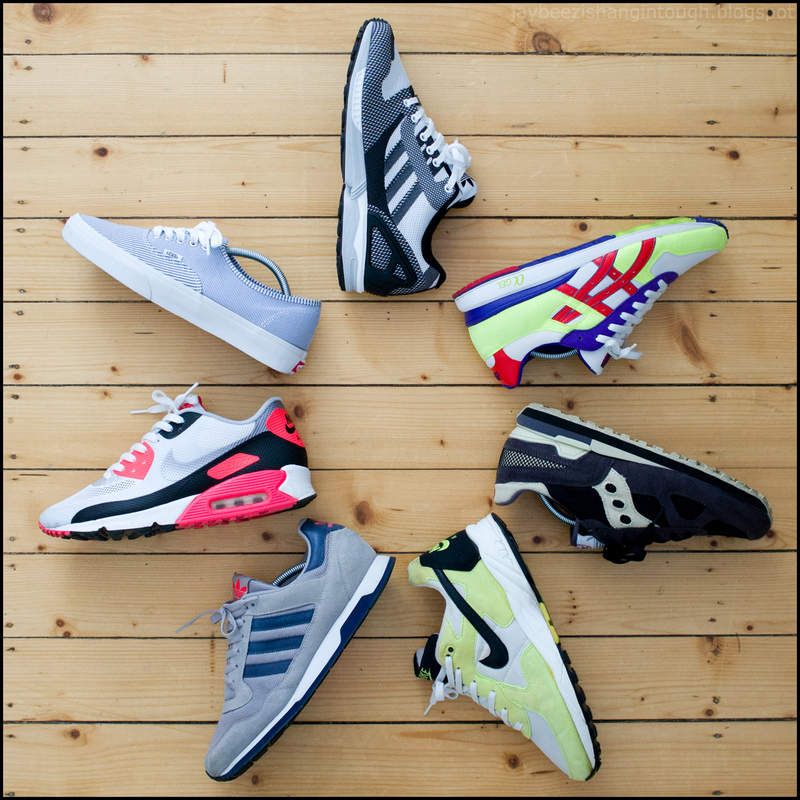 mon-sun: adidas zx flux weave. asics gt-II. bait x saucony shadow original. nike air icarus '92. adidas zxz nyl. nike air max 90 hyperfuse infrared. vans authentic multi stripes.